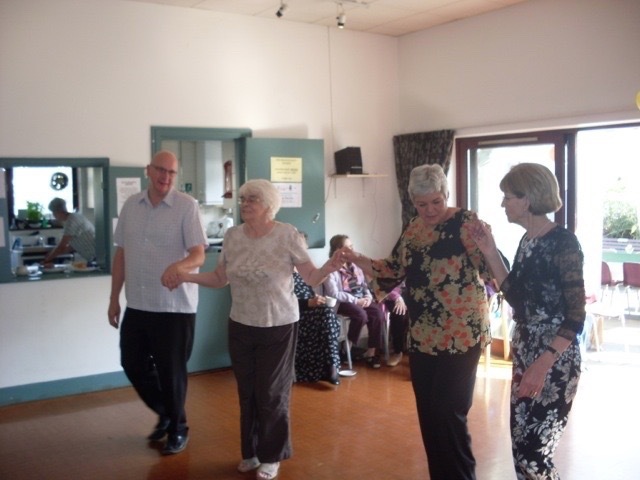 Come and enjoy Social Dancing at The Grove Neighbourhood Centre. Donald Wright runs a class on Tuesday evenings from 7 – 8.30pm. Donald has been teaching for many years holding private and group lessons. 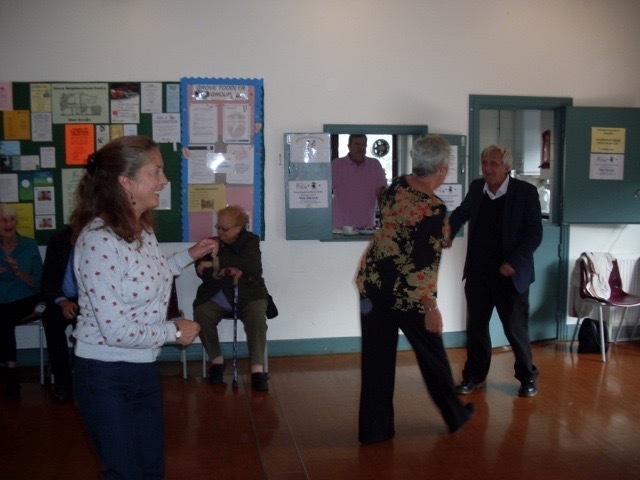 Local residents come to class to have fun, relax, be entertained and take part in enjoyable exercise. The Waltz, Foxtrot, Tango Rumba, and Jive are just some of the dances you can enjoy during the time. It is a small class of about 10 people so rather similar to a private lesson. It is recommended that you wear comfortable shoes but not trainers. You require no experience or partner to come and join in. Donald will teach each class according to ability and students tend to stay for quite some time. One, totally blind local resident was a member of the class for over 3 years. He thoroughly enjoyed getting out and participating in the social interaction. Come and try an introductory lesson for £6.00. Lessons after that are £12.00 for a one and a half hour lesson. This event was well attended last year with one of the highlights being the live band. The Dennis Smith Trio is very popular and have a great deal of experience. It is a great event enjoyed by many. 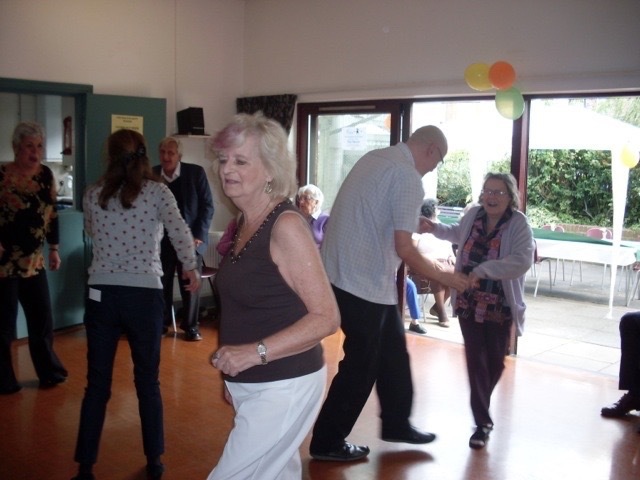 New people come to benefit from the dancing, the social aspect of the afternoon and learning new steps. Tea , cake , merriment and a great deal of laughter. Come and join us, book early to avoid disappointment. Labour have talked a lot about zero hours contracts in the election campaign. But what of the record of Labour-run Hammersmith and Fulham Council? My colleague Cllr Mike Adam has made some enquiries. “There are 280 non schools positions, primarily adult learning tutors and sessional carers that have non-exclusive contracts without guaranteed hours. This has long been the norm in those sectors. These do not exclusively tie an employee to an employer. But Ed Miliband defines “zero hours contracts” as those who don’t provide guaranteed hours – whether exclusive or not. The council may well argue that many of those on the zero hours contracts are well paid and welcome the flexibility. Fair enough. But that is not the position the Labour Party takes in their campaigning. They can point out that plenty of other Labour councils are at it – but that is hardly the most inspiring defence. The Labour candidate for Hammersmith uses them. Now we find out that the Labour councillors campaigning for him are taking to the doorstep with an anti zero hours contract message. Then they preside at meetings in Hammersmith Town Hall and decide to apply such arrangements for their own workforce. Labour’s message is that other employers should be ashamed of using zero hours contracts but when Labour is the employers then it’s fine and dandy. The hypocrisy is staggering. What should be done about this redundant building on Shepherd’s Bush Green? 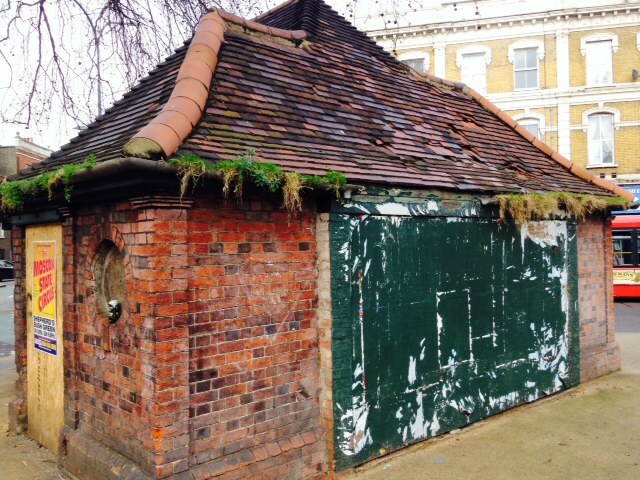 Apparently this redundant building in Shepherd’s Bush Green used to be an electricity sub station. It could be attractive but at present is an eyesore. I recently asked about it’s future. 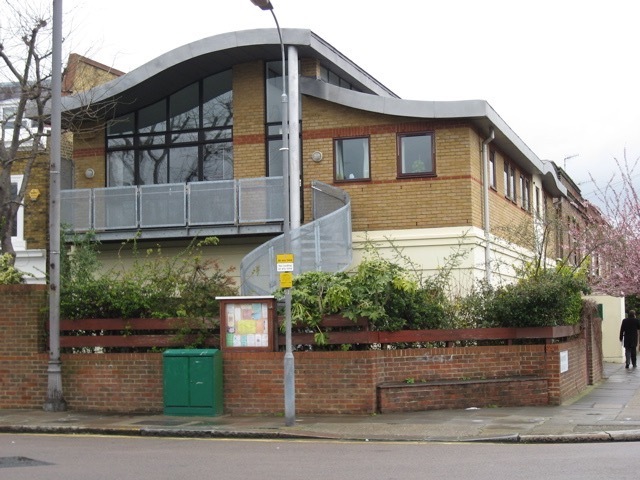 “This building has been subject to much discussion recently along with its potential viability as a commercial premises. Following said discussion, and having considered the findings of a previous public inquiry, we do not think that this building is viable as a commercial premises. Reviewing the Planning Inspector’s findings it is unlikely a commercial operation would receive planning permission. I pressed a bit. Could we not at least attempt planning permission, could we not put it in the market place to test commercial viability? “The options for this building have been discussed a number of times now. Feedback, based on informal discussions with Planning colleagues, is that planning permission would not be forthcoming for a cafe. The Inspector at the Planning Inquiry deemed that a replacement building including toilets, was not appropriate. There was significant opposition from shopkeepers in properties facing the green, and this level of opposition could be anticipated for any change of use of the existing building, the area’s common land status is an extra complication. Additionally it would cost any new occupier a large sum to put the building in working order, and this would mean the Council would not obtain rental income for several years. 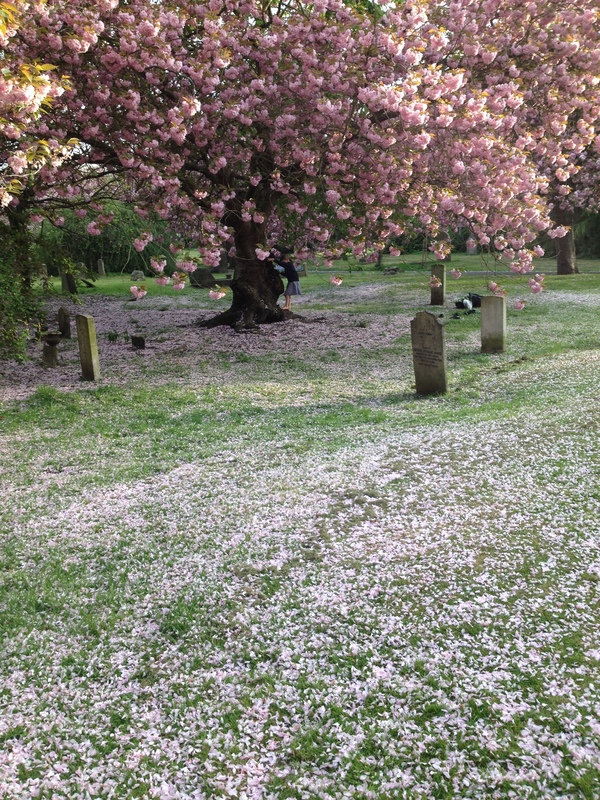 Local residents I have spoken to feel if it is to be demolished the site should be grassed over and not made into hard-standing of which there is far too much on the Green anyway. What are the alternatives? Could it be a newsagents if a cafe would not be permitted? A shelter from the rain – or would that become a haven for tramps? A pump station for push bikes? The present situation is unsatisfactory. It should not be demolished until there has been a genuine effort to find a viable alternative use – which clearly has not yet taken place. If it was restored this would be an attractive building in a prominent location. Labour claim to be “on the side” of council tenants. But since they took over last year they have allowed standards on the estates to slide. These examples of fly-tipping on the Gibbs Green estate are all too typical. I have demanded that they be cleared away and that tougher action is taken. But housing officers have got the message from Labour that dealing with this is “not a priority”. The Hammersmith Labour Party are fighting the General Election campaign with a promise to “save” Charing Cross Hospital. The claim that the hospital – or it’s A&E – face closure is dishonest. But leave aside, for one moment, that way of characterising the NHS proposals. Would a Labour Government block the changes? Hello @andyburnhammp – would you block @ImperialNHS plans for Charing Cross Hospital or would you allow them to go ahead? Please clarify. Thus far there has been no reply. Of course he will be busy but he has has sent various other “tweets” in the interim. He might also decide to ignore me given that I am a political opponent. But his own Labour colleagues might also be interest in his clarification. Not least Cllr Stephen Cowan, the Labour leader of Hammersmith and Fulham Council, who made just such a plea in the left wing weekly Tribune. I believe the NHS proposals would mean an improvement for Charing Cross Hospital and that they would save lives. Some will agree, others have made very clear they disagree. But before Thursday next week shouldn’t we be told whether or not a Labour Government would allow those changes to proceed? 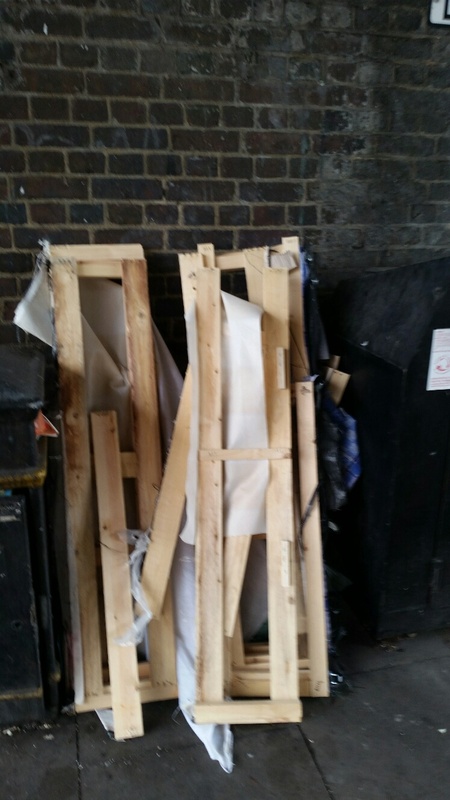 Residents are getting ever more frustrated by the failure of the council and Transport for London to deal with the squalor along Goldhawk Road under the Stamford Brook London Underground Rail Bridge. 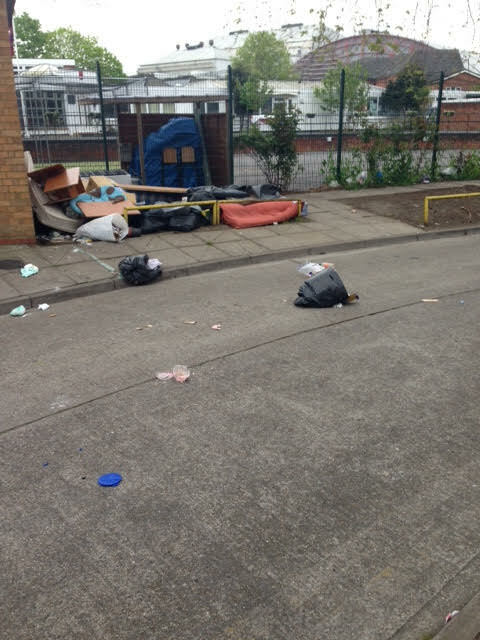 The area is a disgrace to our borough and a daily source of unpleasantness to those walking past it. Improved pigeon proofing works from TfL have been promised but have not materialised. 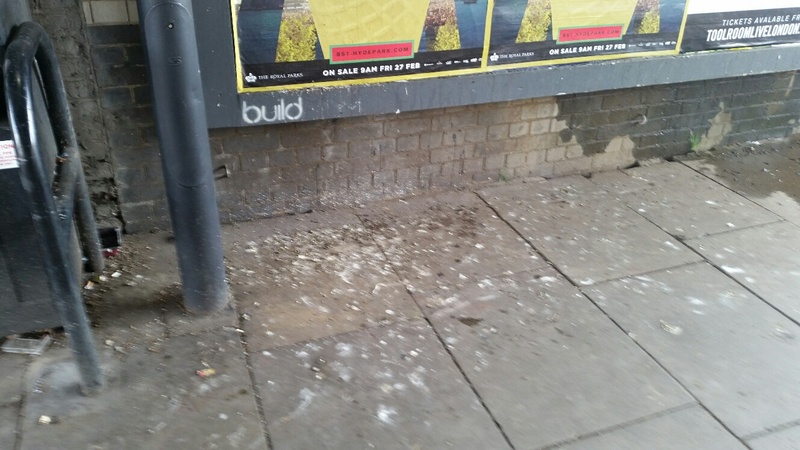 The Council fails to carry out jet washing of the pavement to clear away the pigeon fouling. Recycling bins in this prominent location attract constant fly tipping which the Council is slow to remove. I will continue to press for the Council and TfL to take action.